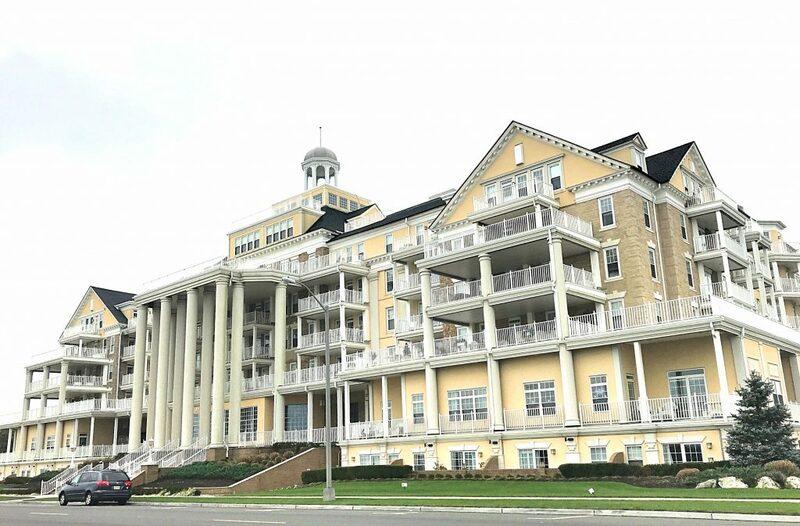 The Essex and Sussex was originally built in 1914 as a hotel and is located at 700 Ocean Avenue in Spring Lake, NJ and situated near Spring Lake. 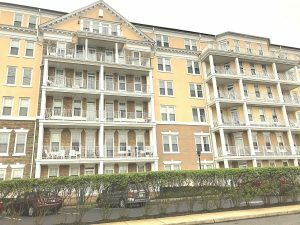 This grand building now operates as an active adult community and is comprised of studio, one and two bedrooms. There is valet parking and a beautifully appointed lobby greets you upon entry to the community. You can still enjoy the hotel like amenities and there are too to name but include a 24 hour concierge, fitness center, salon, library, dining room, on site restaurant, game room, theater, common laundry. There are also rooms available for private use. All utilities are included in maintenance fees. Sweeping ocean views from the atrium and only one block from the beach make this an ideal location for retirees or those looking for a weekend getaway. Dining Room, Theater, Salon, Game Room & more!